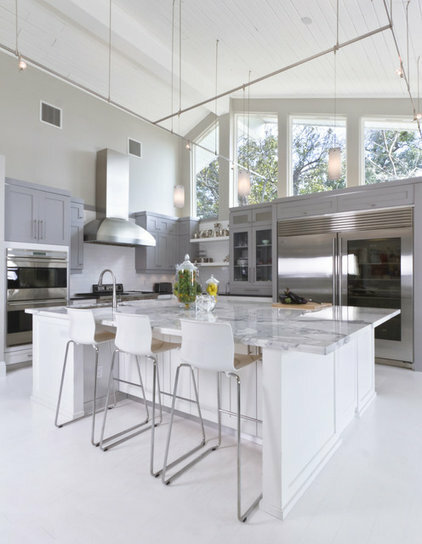 A great kitchen design can dramatically increase your property value — if you want to attract prospective buyers, your kitchen is the perfect place to invest money. The trick is to get it to appeal to the majority of people by spending your money on what most of them really want.Kitchen cabinetry can do much to attract the right buyers. There are four key factors to consider: quality, symmetry, color and layout. If you can get these key elements right with your cabinetry, you’re bound to have a higher home value. The 4 Things Most Buyers Want in a Kitchen1. QualityThe number of cabinets you have is not as important as the quality of the cabinetry. 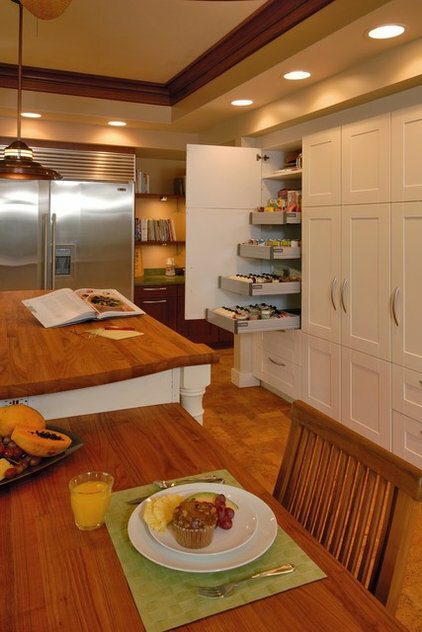 The fewer cabinets you add to your kitchen renovation, the less expensive it will be. Choose quality over quantity.Do: Choose quality hinges and runners, including soft-close drawers, and custom-made cabinetry.Don’t: Go for large fillers and ill-fitted modular cabinetry. Keep the cost down by keeping the cabinet count down. 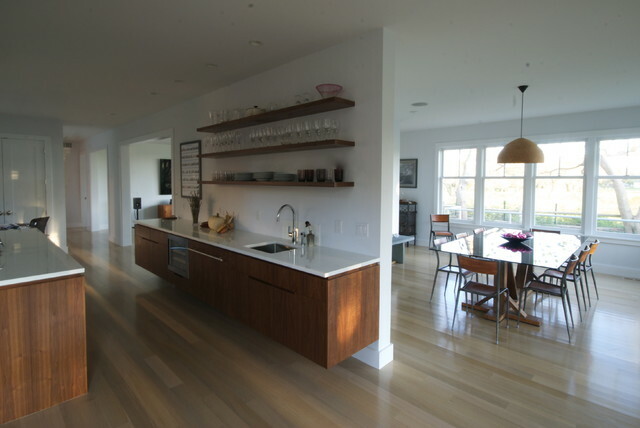 Design the kitchen layout to keep it light, bright and with an open plan, without using tons of cabinets. Note: Excessive internal organizers aren’t essential if you are planning on reselling your home. They are wonderful in adding value to your personal use of the kitchen but are not always a wise choice if you are renovating purely to sell. Internal drawer and cabinet fit-outs are often expensive, and the extra money you spend on these accessories may not come back to you when you’re selling your property. 2. SymmetryThe eye is naturally drawn to appreciate symmetry and repetition. When you’re renovating to sell, keep your kitchen cabinetry simple and appealing. Elegance has a way of being understated, and simplicity is key when you are trying to appeal to the majority of buyers.Do: Keep the wall cabinetry sizes the same where possible. Drawers look nice when they are large and expansive — if you have multiple sets, keep them the same size, with the same proportion of drawers.Don’t: Add multiple cabinets in varying sizes. Try to keep the look and feel consistent in the whole space. 3. 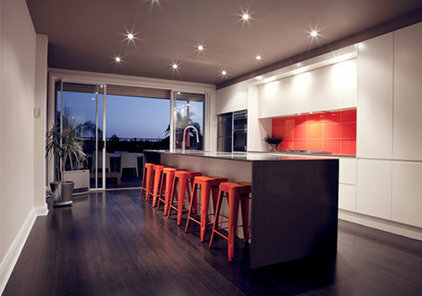 Light, Bright SpacesMany buyers here in Australia want an open, light and airy space. A kitchen that is white makes the space feel bigger. White is also a universally appealing color and leaves a blank slate so buyers can reenvision the space. Do: Keep the space open, bright and light with white cabinetry. If you want some contrast, go for a darker bench top.Backsplashes should be kept fairly neutral too — try to introduce texture instead of color into the backsplash. The more neutral and elegant the space is, the more potential buyers you will attract.Don’t: Use darker-color cabinetry, which can make the space feel closed. While adding a strong color may suit your taste, it may not be to everybody’s liking. You want to attract as many potential buyers as possible, and while white may not be the most daring color for your cabinetry, it’s the most popular. 4. An Open LayoutDesigning your kitchen to have a sensible and open layout is pivotal to increasing property value when you’re renovating to sell. 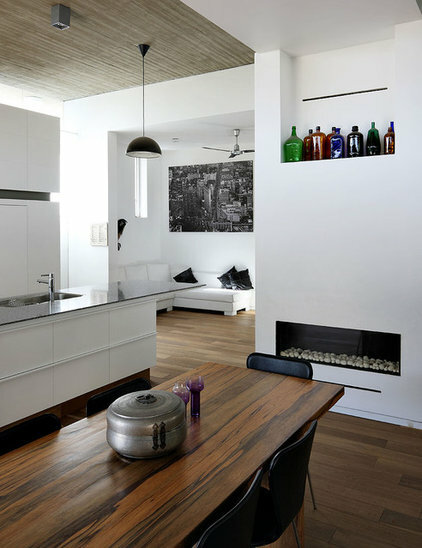 In Australia, the trend is moving toward open-plan living and multifunctional spaces.Do: Have a large open-plan space with a kitchen island if possible. Buyers often want to multitask in the kitchen. They want to cook, have their kids do their homework and socialize in it.Don’t: Place your kitchen in a small and poky room. The kitchen is now often the hub of the house, and buyers want to see a kitchen that is interactive and sociable.